Suzanne is a Registered Dietitian/Nutritionist (RDN) and a Health Fitness Specialist (ACSM) with degrees in both Human Biology and Clinical Nutrition. For over twenty years, she has combined traditional nutrition science with progressive approaches to weight management, fitness, and disease prevention to help her clients. Suzanne has worked with individuals, sporting groups, and corporations. She has appeared on both television and radio, and is a published author. 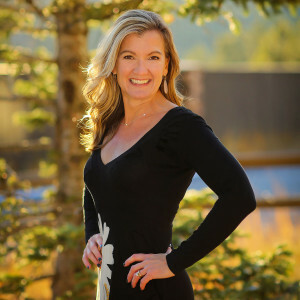 Every day Suzanne balances family, work, and herself by indulging in healthy foods, positive thinking, and daily exercise.She and her husband savor every free moment with their two kids by exploring the sunny Colorado mountain playground where they live. You can usually find them running with their bouncy dog, riding their sweet horses, or discovering new playgrounds all around the world. As your wellness coach, Suzanne hopes to help you find your own life balance, so you can live the healthier and richer life you’ve always wanted.